Smoky Quartz is somewhat abundant, making the price considerably less expensive than for other Quartz varieties. It is also abundantly available in large sizes, meaning a buyer in need of a large sized gem at a low budget will often choose Smoky Quartz. Today, the vast majority of natural Smoky Quartz comes from Brazil. 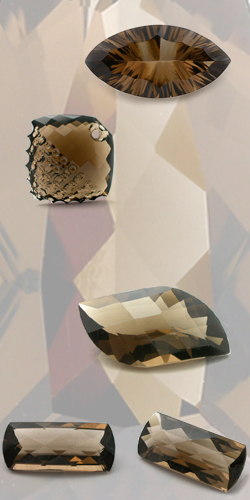 Smoky Quartz originating from Mount Cairngorm of Scotland where it is a favorite ornamental stone is called Cairngorm. There are also known deposits of natural Smoky Quartz in Australia, Madagascar, Spain, Switzerland, and the United States (Colorado).